The 5th and other dimensions, Year 2012, symptoms and much more. This is a questions and answers forum. Have a question about Ascension? Post a discussion topic. What Is J Seals ? A Message From Anna Merkaba....Star Seeds, Star People....A Journey To Earth..
You need to be a member of Ascension Support Group to add comments! This Higher Light Decree calls upon your Higher Self, I Am Presence, and your team of the highest light to be present and hold and support you through all dimensions and spaces within the dreamtime, which is the higher dimensional reality you are creating in your life. In this higher light decree the intention is to clear all that arises within this sacred and intense connection. It is important to note that the main function of this connection is spiritual awakening. Loving Kindness is an ancient Buddhist practice that is also known as Metta Bhavana. Compassion and loving kindness helps us heal relationships and move forward. It also allows us to enhance our existing relationships. This is a beautiful & very powerful guided meditation and transmission of the Creator's Love & Light & Grace & Blessings from the Ascended Masters, Angels, & Goddesses helping mankind with their spiritual growth & ascension through Cynthia Charis. Just open your heart and mind and relax and let the divine energy uplift you and raise your vibrations and help you experience more fully the Divine Love in your heart with the Presence of your Soul and the Creator...taking you on a Blissful journey into your awakened heart merged with the Creator's Heart. Join Natalie Glasson and all others who are listening to the video for a Free Webinar led by numerous Sacred Beings to support you in accessing your inner truth to be of service in the most appropriate and fulfilling way for you. Sacred Beings such as Quan Yin, Archangel Gabriel, Archangel Hope, Goddess Beings and many more wish to guide you in a meditation allowing you to experience being of service to the ascension process occurring for all. They wish to guide you in embodying and manifesting love and peace for yourself, humanity, Mother Earth and all. This is a beautiful meditation gifted to you to awaken & expand your Divine Highest Self as a sacred gift of service, love, truth, peace and healing for all. Let yourself be guided to lend your energy, awaken your inner knowingness and connect on a deeper level with the true divine purpose of your presence on the Earth. Allow yourself to be filled with supreme glorious love vibrations and healed by the awakening & expansion & embodiment of your Soul & the Creator's Flames of Love, Peace, Light, & Power within you. You are a magnificent part of the world and the Creator, your energies and intentions matter! And please give us a thumbs up if you like the video. Melanie Beckler's new & powerful meditation to help us expand our awakening & embody our Divine Self. I Am My 'I Am Presence', and I Am One with the 'I Am Presence' of every person on earth & the entire company of heaven. Transmute, transmute - by the Violet Fire - all causes & cords not of God's Desire. I Am a Being of Divine Cause alone - that cause is Love - The Sacred Tone! 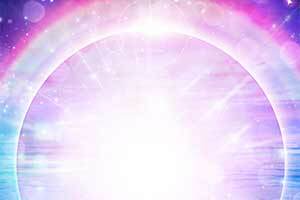 Listen to this transmission by Steve Nobel to connect with a group of Ultra-Violet Light Angels that can be called upon to clear, cleanse and uplift your personal energy space as well as dissolve cords to individuals or groups that interfere with your light and in some way block your soul path. Patricia Cota-Robles leads us in this meditation to love all life free. Dear support Kala Dharma is holding free membership for high Cassel members of the following Future City's , Capitals and County's. Urantia known as Kush , Seneca and there Tribal people, Aztlan Reborn, And the Cassel of Puri India ( City of Shamballa). Any boby is Welcomed to Join from Nasica. Interesting, Alain, the new Moon always marks the energies of the lunar month and they begin to intensify until the full Moon , when it reaches its peak! Then the energy begins to wane! The full Moon of this month is when the celebration of Pesach ( the Passover of the Jews and the Last supper of the Catholics and all of Christianity takes place and it should be felt the way you do! All is well with the World!